A generation of working class artists and thinkers changed the world and lead revolutions in popular culture and society throughout the 1960’s, 70’s and 80’s, BUT for a number of years now the government has been dismantling traditional ways people like us have made their route into academia, and the cultural and creative industries. So after a successful pilot project in Hackney that saw 22 teenagers mentored and go on to study the arts at university, Arts Emergency officially registered as the charity and today they have thriving networks and mentoring projects in London and Manchester, and over 6000 members nationwide. Through this network they give 100’s of young people the chances they want, the long-term support they deserve and access to some genuinely influential, helpful contacts across every academic subject and creative and cultural industry you care to name. Now we want to do the same again here and are asking creative professionals and academics across Margate, Ramsgate, Folkestone, Canterbury and the surrounding areas to join in and send the ladder down. Margate and towns beyond have been transformed in recent years by an influx of creative professionals from around the UK, and there are amazing art schools and universities in Canterbury. But we all know there are kids living in our towns here that though brimful of potential and ambition are living in another world, and shut out from the support, networks and opportunities they need to build a better life. Arts Emergency are going to do something real, simple, lasting, and wonderful for them, and hope you will be part of that. They are partnering with Canterbury College, King Ethelbert School and Resort Studios in Cliftonville to bring an initial ten young people into the local creative and cultural community, giving them a trained mentor for one year, and access to the opportunities we as a community (that’s you, your friends, your colleagues) can provide between us. As well as this they are going to be able to link them to the opportunities already on offer in London and Manchester such as film set visits, behind the scenes gallery tours and free tickets to major events. These are real life connections, real life opportunities around and through our team here, practical pastoral support not just for one month, not just for one year but for up to eight years – from when they begin their journey at 16 to making the breakthrough in their early twenties. It absolutely works like a real ‘old boy’ network and you simply respond to any requests from young people you might be in a position to help with. We vouch that they can benefit, and can’t get that help elsewhere. Network contacts share contacts, link to studio time, set visits, auditions, coaching, gallery space, free tickets, backstage passes, academic help or anything of this nature. Mentors commit to meeting the same young person at least once a month for a year, and you get all the training, certification, resources and hands on support from the team that you could want. It’s a unique and powerful project, it’s an entirely crowd sourced privilege for people without privilege and it transforms people’s life chances. We need YOU! Join the network and we will be in touch about the pilot project later this summer, with details on mentor volunteering and our plans for the first ten student applicants. We are SO excited about this and hope you feel the same. 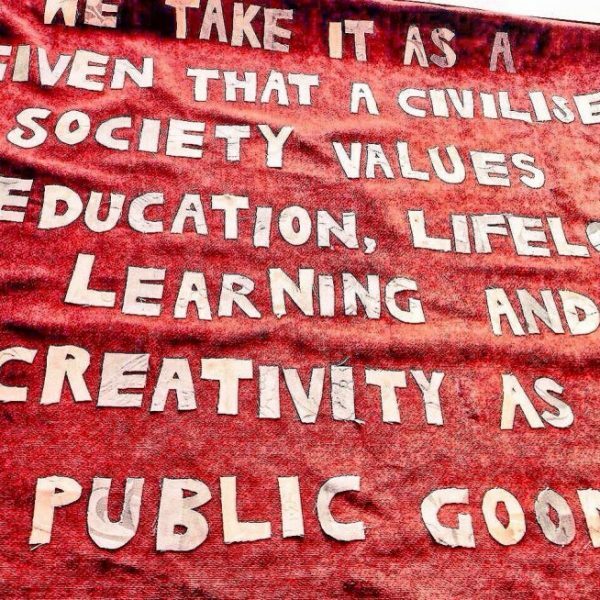 Arts Emergency began in London with 8 young people joining up in 2012, now it’s 100’s. We hope to have a similar impact here and grow something amazing from the ground up.